Here are more Beyblade tips and tricks. The Flame Sabre is a very powerful move. Take your launcher and hold it above your head's back. Swing your arms over your head and slam down hard on a 45 degree angle then launch your blade while coming down and aim for the opponent's blade. This move can shatter the opponent's blade into pieces if done right. Hold your launcher the normal way then swing your arms in the air and then behind your head then launch then swing your arms down aim for the stadium and launch. The force of your blace landing on the stadium is enough to put the opponent's beyblade off balance. 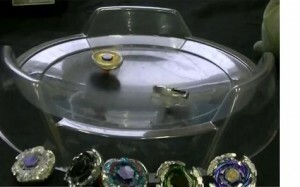 This move is best done using Salamolyions beyblade. Launch your blade the normal way then push the launcher forward towards the bottom part of the wall. You must launch this very hard so that your beyblade will attack faster and harder when meeting contact with the opponent's beyblade and cause great deal of damage. 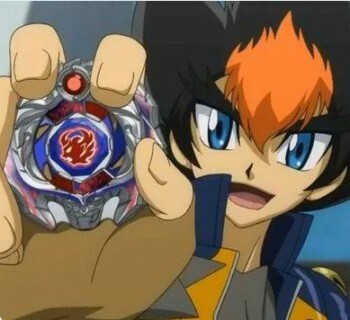 Phantom Hurricane is one of the most powerful special moves there are in beyblade. 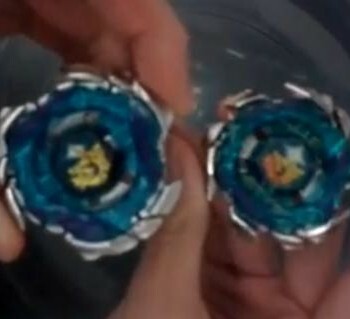 To perform, tilt your beyblade forward and then to the side a bit. Aim for the first part of the slant on the beystadium. Launch as hard as you can. This works best for Dragoon Fighter as it will zoom around the stadium and knock the opponents beyblade from wall to wall doing serve damage. 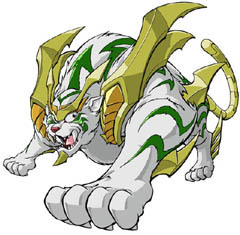 The strong speed and power of Dragoon Fighter can create a strong that can hold back the opponent from attacking you. Wave Impact requires a powerful launch and good aim! Launch your beyblade at the side of the opponent's attack ring. This move will make the air of your beyblade mix with the opponent's beyblade making your beyblade gain more endurance by absorbing their attack to raise yours. This will then make your beyblade zoom around the stadium out of control creating water effects of wind. Voltic Crush is the special move of Voltic Ape. It is a very powerful move. Launch your blade normally. Make sure you are facing the wall. When ready, launch your beyblade forward and not down. Launching it forward aim in the middle of the stadium. Your beyblade will skid across the beystadium wall and into the wall with a powerful rebound your beyblade will attack the opponent from behind, in front, left or right doing devastating damage. I hope these tips will help you be the best blader in town!